Few journeys are as strange or as exciting as Alice's trip down the rabbit hole into Wonderland. 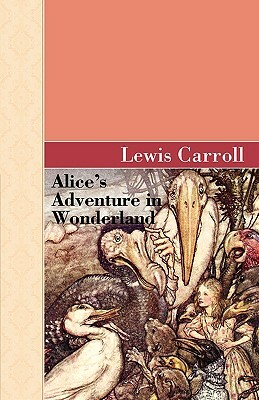 Alice, a bored little girl, unexpectedly encounters a terrified - and talking - white rabbit while playing outside. Her curiosity aroused, she decides to follow him. Falling an impossibly long way down a rabbit hole, Alice finds herself in Wonderland. An anarchic tea party that never ends, an enigmatic cat that disappears except for its smile, living playing cards and croquet mallets are just some of the strange things she encounters. Nothing makes sense - but in Wonderland, it's not supposed to. One of the most famous fantasy stories ever written, Alice in Wonderland is set apart by Lewis Carroll's delightfully twisted logic and inimitable way with words. It's a joy to read for adults and children alike.